Home Auto Insurance Guides Uber vs Lyft vs Taxi: Which Rideshare Option Should You Choose? When you need a ride, who do you call — Uber, Lyft or a taxi? As ride-sharing services become more popular, and cab companies try to adapt, the answer may change. Here’s a comparison of Uber vs Lyft vs taxi services in a few basic categories: safety, speed, rates and attitude. News reports of Uber and Lyft drivers assaulting and harassing passengers, or crashing their cars, are, unfortunately, widespread. WhosDrivingYou, a pro-taxi service site, collects the latest headlines. One Uber passenger even reported being hit with a hammer by the driver after a dispute about the route. Uber and Lyft both run background checks on drivers and require them to carry liability insurance. However, they also make passengers agree to strict terms and conditions that place the risk squarely on the passengers and seek to absolve the companies of responsibility for drivers’ behavior. Cab drivers aren’t immune from behaving badly, of course. But if a taxi driver harms a passenger, whether intentionally or accidentally, it’s usually easier for the passenger to seek recompense from the cab company. What about road safety? In 2016, Uber began running a pilot program that uses smartphone technology to get a more accurate picture of drivers’ road behavior. “Gyrometers in phones can measure small movements, while GPS and accelerometers show how often a vehicle starts and stops, as well as its overall speed,” explains Joe Sullivan, Uber’s chief security officer. This can help determine what actually happened if a driver’s and passenger’s accounts differ. On Jan. 1, 2016, some Uber customers got a nasty surprise on top of their hangover: their ride home on New Year’s Eve had cost them more than $200. A surge in demand caused rates to spike to nearly 10 times the norm. One man even tweeted a picture of his $484.85 bill for a 24-minute ride. Ride-sharing apps have become so popular largely because they offer a cheaper alternative to traditional taxis. But that’s not always the case — Uber and Lyft rates depend on local demand, so may rise at rush hour or in the evenings. But on an average day, which is the best deal? Too much math? No problem. 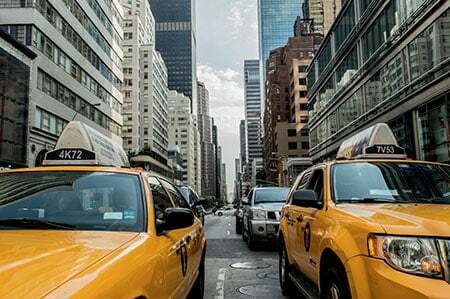 Researchers tackled the Uber vs. taxi pricing conundrum and found that in New York City, yellow taxis are, on average, $1.40 cheaper than UberX. Uber may be a better bet for long trips, however. The OpenStreetCab app can help you make the call. When you need a ride to the airport and your plane’s leaving in 75 minutes, speed counts. So when you’re weighing Uber vs Lyft vs a taxi, which is fastest? Here, ride-sharing wins. Pickups from Uber and Lyft are “significantly faster and more reliable” than taxis, one San Francisco-based study found in 2014. About 90 percent of Uber and Lyft passengers were picked up within 10 minutes, but less than 40 percent of taxi passengers could say the same. All three services are trying to improve. New taxi-hailing apps may give cabs an edge on speed. And in 2016, Lyft announced a partnership with Waze to help drivers pick up passengers and get to their destinations more speedily. There’s one more major difference with Uber and Lyft, and that’s each company’s personality. While Uber had its start as a luxury private-chauffeur service, Lyft wanted to be more touchy-feely, NPR reports: “Passengers are supposed to hop in the front seat and be friendly because, as the motto goes, the driver is ‘your friend with a car. 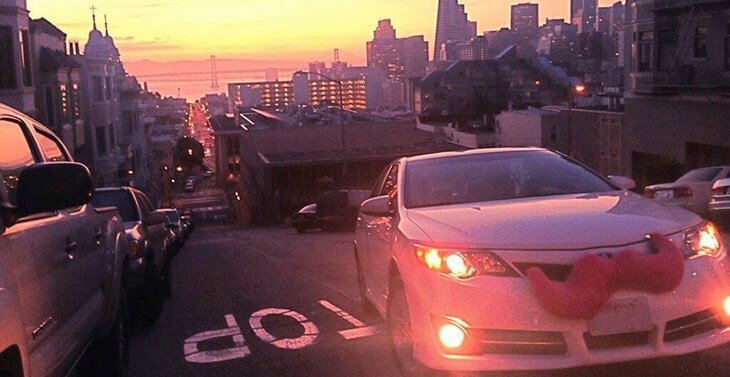 '” Lyft also allows tipping, and takes 20 percent of fares. Uber doesn’t permit tips, and it takes between 20 and 25 percent on standard service. As for cab drivers’ attitude? That depends on who you get. While some drivers are notoriously surly, you might get lucky and meet a friendly local with stories to tell.